My friend sent me this news story about the so-called 'airport syndicate' operating in Johannesburg. The deal is that visitors to the city are trailed from the airport and attacked usually at the entrance to their hotel or place of residence. The immigration and customs staff at the aiport are believed to work hand-in-hand with the robbers, who later way-lay the unsuspecting victims. These robbers target certain nationalities - Nigerians included - who they know will be carrying huge sums of money on them. So if the authorities know so much about this crime syndicate, why are these robberies still happening? Intel has supplied its Classmate PC (CMPC) to students in an Abuja secondary, as part of its World Ahead programme, an initiative designed to "bring technology to people around the world." According to the school's technical manager, Mr. Dennis Etsuke, "The pilot project consists of 280 computers, 8 teacher laptops, digital content, Wimax for internet access, and a repository where we can view content offline." Impressive, given that a generator was also installed so that the school could actually power the laptops. In March this year, another Abuja area school was signed-up to participate in the One Laptop Per Child initiative, the brainchild of Nicholas Negroponte, MIT's Media Lab co-founder. Although both iniatives have roughly similar objectives of helping to bridge the digital divide, there of course has been a less than harmonious working relationship. Negroponte accused Intel of developing the CMPC because the OLPC computer uses an AMD processor, which is the rival technology to the Intel chip. Interesting article on the publishing house, Cassava Republic. I'm in the market for a new anti-virus software. Any recommendations? Saw this interesting post by Chxta outlining pros and cons from his pov of some popular anti-virus packages. I'm looking to move away from Nortons. Sokari of Black Looks is organising a Carnival Against Violence Against Women. To participate, write a post on anything from "a personal story, images, thoughts, a link anything that highlights and informs violence against women." Complete a form from her blog or email her to notify her of your post. That's it! It's as easy as 1-2-3. It's so easy that I must remember to do it. I forgot to write about the 2007 edition of the Lagos Book & Art Festival. It ran from a Friday through to Sunday (Nov 9-11), but I was only able to go on Saturday. It was held at the National Theatre, I suppose in part to showcase a national treasure that has been at the centre of much hoopla this year, stemming from the government's intention to sell it. I haven't been to the National Theatre since secondary school and although I hear about events being held there once in a blue moon, I didn't seriously think that it was somewhere that people still used. I suppose my decision to attend the festival was partly out of curiousity to see this great landmark of old (well, aside from the fact that I attended last year and was looking forward to it anyway). I'm quite ashamed to say that I got lost both getting there AND leaving (well, at least when I was leaving it was dark and so I had somewhat of a valid excuse). The time actually spent there was quite enjoyable. I easily located the part of the theatre being used for the festival from the crowd of cars parked outside and people milling around. I got there during the final session of the day - a panel discussion entitled Writing in - Tales from the Diaspora, which (according to the program) featured Ayo Arigbabu, Henry Akubuiro, Toni Kan, Chuks Ohai, Tolu Ogunlesi. Also participating were Wole Oguntokun and Chude Jideonwo, who moderated. The discussion flowed from musings on what defines writing as Nigerian; who was a Nigerian writer; which writers of Nigerian heritage could be said to be 'writing in' and who were writing 'authentically Nigerian'; what the hell made for 'authentic' Nigerian writing anway; and at the end of the day did all this matter? In response to the last question, which was posed by a member of the audience, the writer Toni Kan quipped that afterall that was what they had been brought together to debate. I visited the few stalls that had not yet packed their wares up and bought two books that I know that I will not read for at least a year. After the day's proceedings wrapped-up, I spent some time chit-chatting with participants and guests alike outside and met two bloggers. All in all, a thoroughly enjoyable time was had by me. Alright, the 16-day VAW (violence against women) campaign starts tomorrow (Nov 25) and ends on Dec 10. The Take Back the Tech website has many ideas of things to do protest VAW and could be as simple as blogging about it, sharing a story, sending SMS's or including a tagline in your emails. I'm always interests in ways that ICTs (information and communication technologies) can impact people's every day lives. So, it was some fascination that I read about the Living project, two informational services for young people launched yesterday in Abuja (nevermind the slightly sensational headline). One of the services is MyQuestion, which will enable young people to ask questions about reproductive health through text messages, online or using a telephone hotline. The second service is the competition, MyAnswer, where young people have the opportunity of winning prizes by answering a monthly question. The initiative aims to provide a comfortable and safe forum where Nigerian youths can learn about sexual health and related issues affecting adolescents. Check www.learningaboutliving.com for more information. Interesting Idris Elba interview on African Loft. I spoke with Mary Joyce earlier this year. She was in Lagos for a few days looking into electronic means of participating in the democratic process. She was particularly interested in the use of mobile phones for elecronic or e-advocacy i.e. participating in the political process through electronic/technology tools e.g. to share information, lobby the government, protest. She talks about this in her interview on CafeBabel.com. You can download a copy of her report on mobile phone use for e-advocacy here. I attended the Helon Habila book reading this evening at Silverbird's Nu Metro bookstore. Or rather, I caught the tail-end of the Q and A. I sat the very back next to a crowd of people poring over the books on the shelf, deciding which ones to buy. Since I missed so much, of course I cannot do a blow-by-blow of the event. I haven't read either of Mr. Habila's books either, so I cannot write about them. However I purchased Waiting for an Angel, which the author signed and I look forward to the day when I will read it. It felt like a long time since I'd been to a reading (could the last one have been Chimamanda's in January?). It was fun to sit in the midst of books, with people who like to read books and listen to people talk about books. In the brief time I was there, Helon Habila responded to all the audience questions with a quiet confidence (I think that's my favourite type of confidence. Hmmm, but 'quiet' as opposed to what? Showy confidence? Loud confidence? Does that even make any sense?). I like the fact that he admitted that he likes books based on how interesting they are. He does not pay too much attention to genres. When a lady in the audience mentioned that she loved Coetzee's Disgrace (I think. I couldn't catch the author or the title), while her friend hated it and asked for his thoughts on the book (it felt almost like she was asking him to settle a disagreement between she and her friend), he politely shared his belief that what people like boils down to individual taste and preference. In short, we like what we like. I meant to catch you all up on what I've been up to in the last couple of weeks (okay, I'll tell you right now - work, work, work), but I'm too tired right now to write creatively, so I'll just post this Gbenga Sesan interview. I met Gbenga F2F (that's "face-to-face" for you non-Internet heads aka "people who actually have a life") for the first time this January in Uganda. Since then, I've hit him for all sorts of ICT4D and NGO advice (it is a testament to his amiable character that he continues to share his knowledge and experience with me happily and without cost). I was telling him that I read a profile on him in the latest issue of Genevieve magazine. He was unaware of this. I complained that all the articles I read about him could pass for duplicates of each other. I certainly never learnt anything new about him in any of them. It was then he pointed me to this Sun article, which I just got around to reading. Interesting to learn something new about Mr. Sesan. Good to see that not all papers are photocopying each other's work. I remember when my iPods stopped working. It felt like my life was crashing down all around me. So dramatic I know. Luckily for me, Superior Technologies (they have store for Apple products at the Civic Centre and another one in Dolphin Estate) came to the rescue. This New York Times article mentions some sites that can help you fix your broken down gadgets. Was reading today's This Day Style and found someone who has some of my attitudes towards fashion. Yinka Osobu, who owns CMC Interriors (a furniture manufacturing company) bluntly proclaimed, in a magazine devoted to style and fasion, no less, that she does not look forward to dressing up. She doesn't own a single pair of high heel shows and her Timberland boots and sandals are the most expensive items of clothing that she owns. She hardly goes out to balls and formal events, because she worries too much about how she will look and in the end cannot be bothered to make the effort. (The main photograph at the start of the interview was totally gorgeous, btw). Although I am not quite so utilitarian as Mrs. Osobu appears from her interview, I have a very practical outlook to my personal style. Yes, it must look good but it must be comfortable and totally fit the occasion. Not for the me all the endless primping and fussing. I can get ready in 10 minutes and I kid you not. It's good to know that in such an image-conscious society, there are a few of us who could care less (okay, who care a bit but not too, too much. LOL!). 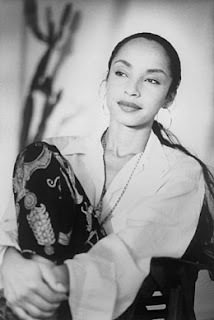 I'm watching some videos of Sade's and I am struck by how timeless all the videos look. Even the clothes that Sade wears don't scream "Help! Stuck in the 1980s!" I want that look! As it is, I look at some of my old pictures and wonder what the hell I thought I was wearing. Luckily, I never crested the fashion wave too much - I believed too much in trying to discover my own style. My hair always looked really good though (yes, I am saying so myself!). I met up with a friend yesterday and we spent an afternoon discussing many, many things. We are both bloggers and at some point, the conversation turned to our blogs. He commented on how I never discuss any personal things on my blog. I responded that was intentional. I had decided on starting the blog that I would not reveal too many details about my self on my blog. He also commented on how serious I come across in my blog. Hmmm, okay that was not intentional but maybe the fact that I try to steer clear of writing anything that I consider too personal is to blame for that. Over time though, I have been blogging less. I also visit other blogs much less than I used to. As for commenting on my blog or on others, I definitely do that much, much less than ever. I've noticed that unless you write about controversial issues or things that a lot of people would find interesting, you would naturally get less comments. A blog also needs to be nurtured i.e. posting regularly (the ideal is daily; several times a day if you manage it), responding to peoples' comments on your blog and visiting and commenting on other peoples' blogs. Alas, alas, life gets in the way sometimes, especially as the initial excitement dies down. This year has seen the demise of many blogs, as the authors move on to other interests. Naijablog is a rare example of a blog that has sustained a consistency of posts since its inception. I wonder how Jeremy manages it. Maybe I'll develop the discipline for that someday. I'm enjoying a vacation at the moment. I decided to visit a friend in Los Angeles. I have been here once some years ago, but wanted to check it out again. The flight here was so long. Yes, I knew that in theory, but experiencing it was another thing entirely. From Lagos to London was okay. That's a fairly short flight (6 hours) and it was night-time, so I slept. From London to LA was 10 hours. The in-flight entertainment was not working for the first two hours or so. It took me a while to realise when it started working, because the crew member who was working on it (Tim) had made several announcements about it already, re: how he was working on it, what he was planning on doing next, etc. At a point he said in an anguished voice, "I am sure that you are so tired of hearing my voice by now. 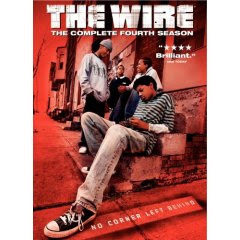 I will just keep working on it and when it starts to work, you should see it on your screens." Ten hours in a plane is no mean feat and I kind of under-estimated just how long that journey is. Plus, how disorientating. After traveling for about 24 hours (including time from my house to the airport in Lagos, wait and flight times and finally to my friend's house in LA), it was only about 3PM on Sunday (in Pacific time). I called home and it was Monday already. I have been pretty tired - more than I thought I would be after all I am no traveling novice. It's 4:34AM (Tuesday) here and I am wide-awake. I can see that if I don't force myself to sleep and wake-up at regular times, I could be recovering all week from the flight and time difference (then of course, about the same time I fly back to my familiar time-zone and will have to re-adjust). 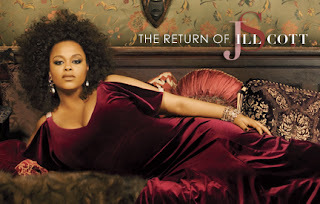 Jill Scott is releasing a new album at the end of next month. Apparently she released one earlier this year - Collaborations. My God! Where have I been that I didn't hear about it? I'm such a big Jill Scott fan and at a point in time I would have made sure that I had the album as soon as it came out. Well, I guess things change and priorities along with them. Jill's on the cover of the September issue of Essence. Her hair is different. Apparently she has it for a Tyler Perry film she's shooting. Although she looks beautiful as usual, I'm not crazy about the style. Writer, Terry McMillan, who interviews Jill for the magazine states bluntly that she doesn't like it either. I was surprised to read that. It doesn't go with the normal fawning over the celebrities that we see in Essence interviews (having said that, the rest of the interview is par to the course). There have been many links posted on many blogs to speeches from last June's TED (Technology, Entertainment and Design) Global Conference held in Arusha, Tanzania. I was sent this link a few week by Natasha Dantzig, one of the conference staff. It features Patrick Awuah, co-founder of Ashesi University, small liberal arts college whose mission is to educate leaders of integrity and competence for Africa. Awuah moved back to Ghana after living in the US for about 10 years to set-up the university. In the video, he talks about his belief that leadership is a major problem in Africa and how today's young people are trained will make all the difference in the continent's future. Ashesi University sets out to do that, offering "a liberal arts education, steeped in critical thinking, idealism, and public service, which is the only way to produce quick-thinking, ethical adults" (from Awuah's bio). Aside from a focus on ethics and leadership, in the video, Awuah touches on the uncritical mindeset brought about by the rote-learning style of education common on the continent. Having spent time with a group of very intelligent secondary school students and seeing how rote-learning stifles creativity, I feel very strongly about incorporating methods that stimulate critical thinking. I had to go to the bank today to withdraw some money. Now I really hate going to the bank. Perhaps "hate" is a strong word to describe my feelings. Maybe "detest intensely" might work better. Alright, so I intensely detest having to go to the bank for anything. When I first moved back home, my first choice of bank to open an account with was GTB. However, as I considered the lack of parking spaces in most of the GTB branches on the island, I decided to look around for a bank that had ample parking spaces. I would not recommend using this as a criteria for selecting a bank, by the way, but it worked for me back then. Or so I thought. I chose Standard Trust, which was near my home and had a lovely wide open space in front of its premises. It also had very few customers (either a very bad sign or an indication that the staff were deathly efficient), a fact attested to by the near-empty banking hall. Great! A bank where I won't have to hover around looking for somewhere to park and where I will be attended to quickly. What more could one ask for in a bank? Well, unfortunately for me, Standard Trust became subsumed into United Bank for Africa (UBA), a behemoth of a bank that lumbers along in much the same fashion that you would expect of such a big (and old) organisation. Efficiency does not appear to be a watchword of the bank with simple processes taking forever (I just received my e-banking log-on details after first signing-up for it a year ago). I've since opened an account with a much newer and efficient bank, but still retain my UBA account. So I still have cause to go to UBA from time to time - albeit as infrequently as I can manage it. So I got there this morning at 8AM so that I could do my business as quickly as possible and leave. I met some fellow customers waiting for the opening of the iron grill. Minutes passed but yet we continued to wait. More customers arrived and hissed loudly on seeing the still shut bank. Some more came and decided to wait outside in the early morning sunshine or in their cars. "Ah, but it's past 8 now!" one woman exclaimed in dismay. FINALLY, the UBA staff deigned to open their doors. We heard the keys jingling in the lock and the grill was pulled up. As we trooped in, one of the customers muttered "This is the WRONG bank!". At times like this, I could not agree more. When I asked one of the ladies behind the counter why it took so long for the bank to open, she just smiled in that coy way that people will do when they have absolutely no excuses. I told her that the street was filled with banks and we could just as easily go off to one of their competitors. "We are very sorry. We will attend to you shortly. We are just getting the money." She gestured to a corner table from where the cashiers fork-lifting arm-loads of tightly-bound wads of cash. And would you believe that after all that, as another cashier attended to me he looked up at me and apologised that my withdrawal was taking a little while. "Our system is slow." Lord have mercy! This is truly the WRONG bank. Being away for the summer camp (and largely away from TV, radio, newspapers and the Internet) over the last week put me in relative isolation from what's been going on. My feeling of coming out of some kind of seclusion was heightened with the realisation that PHCN/NEPA really seems intent on improving its performance. Over the last 2 or 3 weeks, we've had electricity most of the time. Whereas the old pattern was for PHCN to give us up to 15 minutes of light a day maybe twice a day, with the rest of the day spent in pre-historic like conditions. Now, we have light almost all day. I am so used to returning home from work to no light that it can be slightly unnerving to always have light. Where giving the gateman the key to get diesel to fill-up the generator was a daily occurence, I cannot remember the last time he reminded me that the generator needed diesel. I discussed it briefly with my mum and she was equally as perturbed. We both wondered if all was well at NEPA. Don't misunderstand me and think that I am actually complaining about the current state of things. No, no! It's just that when you have been used to coping with certain situations, you need to re-adjust when the situation changes. I just hope that very soon we will not have to return to the dark old days. It's been such a long time! I hate it that a lot of my recent posts have started off that way. Well, so there are some valid reasons. My company organised a careers retreat for senior secondary school students last week. For 1 week, I slept in dorms like I was in school again. Okay, I was never actually a boarder when I was in secondary school and this was a pretty nice school by most standards. The boys and girls' common rooms had air-conditioners and a TV with DVD players for the students. The dormitories and dining rooms also had ACs, so we were living quite well. I don't often get to spend time with young people of the SS1 - 3 age, so it was an interesting refresher of how things were back in the day. At night, I'd be kept up late by the never-ending chattering of the girls. They talked about school, school-work, clothes, parents and boys (well, perhaps that is somewhat similar to what a lot of grown women I know talk about). In the morning, it was quite hard work to herd the girls to morning exercises. While the girls would struggle to get up at 7 am and eventually schlep out of the school grounds for a run/walk, the boys would have been up apparently since 6 playing football. The students represented some of the smartest science students in the state and it was very awe-inspiring to be around them. They were outspoken and ferociously intelligent and asked extremely incisive questions of the speakers who came to talk to them about careers. Although I am, in some cases, (ahem) almost twice their age I felt in some ways quite humbled by them. I wish I hard worked harder at school and had more confidence in my abilities. I loved how they viewed life as an open book, with so many pages yet to be written on - in short, filled with unlimited possibilities and a lifetime of adventures. I frequently have to remind myself to look at my life in the same way. Sokari has an interesting post on her blog about an ongoing workshop organised by Fahamu that brought together African organisations currently involved in social justice and advocacy projects, which are using mobile phone technology. Day 1 featured presentations on the Frontline sms Software used recently to monitor the Nigerian elections; the use of mobile phones in a rural agricultural project in Uganda along with radio broadcasts; community based organisations of women in Kenya using mobile phone technology in three specific areas: women and property, women leadership and government, resource livelihood. Check out Sokari's blog to read more. Addition: White African wrote-up on the meeting on his blog. I had a lovely long weekend. It kicked off with a great meeting with some incredible, opinionated and highly intelligent women (plus one lone male)! It was a focus group for True Love magazine, which I was invited to participate in. TL wanted to get feedback on how it's been doing, what its readers like, what we don't and what we would like to see more of. It was held at Pearl Garden, which just happens to be one of my favourite restaurants and one which I can't afford to eat at as much as I would like (that would be every other day). I'll write more about the focus group later (it's 8 minutes to shut-down time here at work) and I like to beat the traffic as much as I possibly can. One thing I did say was that TL's hair page needs to focus more on natural hair (nevermind that the current issue discusses hair care for locs). Yes, it's perhaps a selfish request, but I know there are many other nappies out there who sometimes need a clue on some funky new styles. I was checking out some photos of the writer, Tayari Jones - she also has natural hair- and seeing her healthy twist out reminded me that it's been ages since my last trim (yes, natural hair also requires regular trims). I think I'll do that when I get home. Oh, I love this country! We have a 2-day public holiday next week. Monday and Tuesday! Hand-over to our next government happens in Abuja on Tuesday. Oh, what shall I do with my unexpected holiday? I went to see The Namesake a few weeks ago - or many, many weeks ago probably more like. I have been looking forward to this ever since I heard that Mira Nair was bringing the book to film. I loved the book and hoped that the film would be even half as good. I like a lot of Mira Nair's films, but sometimes they can be a bit hit or miss for me. Monsoon Wedding has been her biggest hit to date and definitely a crow-pleaser. If you want something less middle-of-the-road, you should see Salaam Bombay, which explores the lives of some Mumbai street children. The Namesake is not a big book, but it packs in a lot and spans 2 continents and several decades. As a result, Mira Nair had to leave out a lot. It still leaves a good film with a solid story, but having read the book probably gave me some degree more understanding than I might have otherwise had. The original story is set in the Boston area, while the film moves the tale to New York. This really doesn't impact the story in anyway. I loved the book because it dealt with issues of feeling culturally at sea. At the time, I felt very much the same way too. I think most people who have lived in cultures outside of their own could relate very well to the book. Hell! Sometimes, we can even feel adrift in our own country. i think many people wrongly asessed this film as "Just another Indian movie" i.e. a Bollywood film, which it certainly isn't. Consequently, when I went to see the film there couldn't have been more than 20 of us in the hall with my friend and I being the only black people. I thoroughly enjoyed myself, shedding bucket-loads of tears and admiring Tabu's beauty. How Much Fun Can You Squeeze into 1 Day? I took the day off and am so excited. I've been needing some time off for a while and this day could not have come at a better time. I've just come off a few particularly hectic weeks. I'm looking at decongesting my life and letting go of the things that I really don't have to do. Today has started off brilliantly. I was stirred in the early hours of the morning by the angry sounds of thunder and the rain pouring down in torrents. Perfect! I thought. There's nothing better than having nasty weather outside when you don't have to be anywhere. It's even better when it's a Monday. There's a song by The Carpenters called Rainy Days and Mondays in which Karen Carpenter sings about her intense dislike for rainy days and Mondays. I love that song! To my disappointment, I still woke-up around 6AM and haven't been able to go back to sleep. So I rolled around in bed until I couldn't take it anymore. I finished watching the film I started yesterday, The Lion in Winter. I really like Katherine Hepburn and will watch virtually anything with her in it. It was funny seeing the very young Anthony Hopkins and Timothy Dalton. I daren't admit it, but I'm already a little bored. Hmmmm, no I will find another film to watch. My sister just bought Mahoganey with Diana Ross. I think I'll watch that. .... Or when has a blogger lost the right to call themselves one? Such questions have been running through my head in the last week or so. I feel like it's been ages since I last blogged, though in reality it has been just about 2 weeks - which is some blogger's average length of time between posts. Life is mostly made-up of mundane routines and sometimes there's simply nothing to write about. Well, no, I did want to write about the film The Namesake, which I went to see goodness knows how many weeks ago, but I just haven't been able to muster any energy for anything remotely creative. I'm focusing instead on catching-up on sleep. Yesterday a friend invited me to an art exhibition at Didi Museum. I promised that I would stop by if I could. I love art, though I don't know much about it. Like most lay people would say "I just know what I like!". I got there and signed-in at the reception. The guy manning the desk asked me if I was an artist. - No! Not at all!, I responded. - Really? You look like an artist. - What does an artist look like? The main exhibition room was pretty bare aside from the gorgeous paintings, the artist and a handful of reporters. I would say that there were about 7 news people and my friend and I. I can't remember if this was the opening day or not. I guess it must have been if the reporters were there. But do people not attend art shows? Or perhaps there wasn't wide publicity for the event, afterall I wouldn't have known about it had my friend (who incidentally is also an artist) invited me. As I was getting ready to leave, a reporter inquired if she could ask me a few questions about the exhibition. Panic time! Because, like I said, I know zero about art. The camera man turned his lens on me and beads of sweat started to gather at my brow as the reporter started asking her questions. - What do I think about the exhibition? - Mmmm.. The paintings are absolutely beauiful. - What do you like about the artist's work? - How do you think the arts movement has progressed in Nigeria over the last few years? Haba! Does this woman think that I am an art critic????? - I think that there it's actually been quite vibrant over the years and there has always been a core group of people who appreciate art. However, it doesn't always seem to have gotten the attention that it should have. I remember going to art exhibitions with my family when I was much younger and that there were always a lot of people in attendance. I don't remember that there were a lot of places to view art though. So, I think that the arts movement in Nigeria has always been very strong but contained to a small group of people. - Okay, so how do you compare that to art in Nigeria now? My God, lady! Let this be the last hard question you ask me. - Hmmm, well, I think there is now a wider appreciation for the arts. Yes, there have always been supporters of the arts, but I think it's gathered more speed and recognition now. For instance, there are more places that you can go to view art. Aside from here [Didi Museum], you have Nike Art Gallery and Terrakulture. If there were some other questions, I honestly cannot remember them, or I have blocked them out. LOL! Afterwards, I 'confessed' that I didn't know much about art (like that wasn't already so obvious). - Really? But you did so well. You knew about colour and movement. I felt like a 3-year old who had been patted on the head for going potty solo for the first time (Wait! Is 3 years old even the right age to potty-train? Okay, so I'm rather clueless about babies too!). I guess making people feel better about their lack of knowledge and incoherent ramblings must be an important part of her job. I asked her what station she worked for. She replied "Galaxy." Thank the good Lord! I don't think anybody watches that station anyway.